Global human rights summit the Trust Conference will be returning to London’s QEII Centre in November 2018. 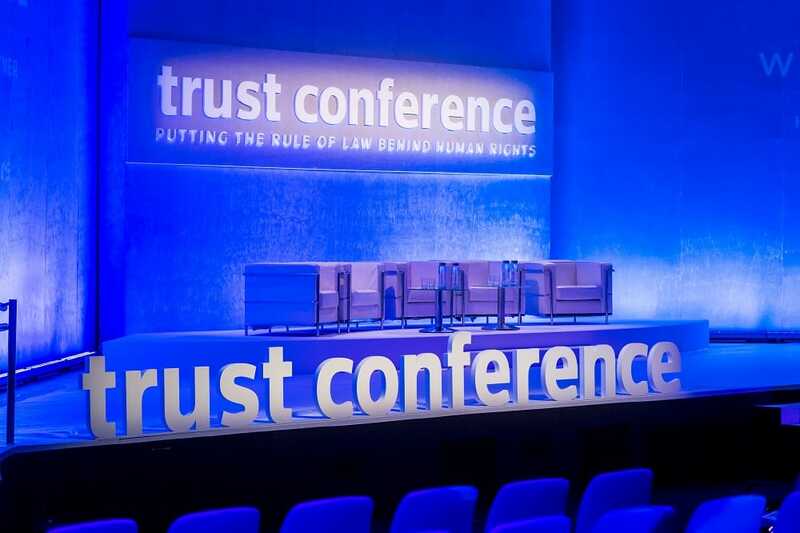 The Trust Conference is an annual event which brings together global corporations, lawyers, government representatives and human rights pioneers to find solutions to fight slavery, empower women and advance human rights worldwide. In 2017, the Trust Conference brought together 600 global leaders from 65 countries and reached 4.1 million people worldwide through media coverage and social media engagement. Among the highlights of the event was a keynote speech from world-renowned Chinese civil rights activist Chen Guangcheng – given in Chinese with simultaneous interpretation provided by QEII’s AV team, QEII Live. In 2018, the two-day event taking place on 14 and 15 November will have a different focus on each day – the agenda for day one will be ‘fighting modern slavery’, and day two will be ‘defending human rights’. This will be the second year the Trust Conference is held at the QEII Centre, having outgrown its previous venue. Monique Villa, CEO of Thomson Reuters Foundation, said: “The flexibility of the space and friendliness of the team made QEII an easy choice of venue for our event. Right from the booking stage through to the live show and post-event wrap-up, the entire QEII team made us feel as if we were their only client. It was their genuine enthusiasm for our event coupled with their attention to detail, strong communication skills and skilled delivery of a complex event that built significant trust and left us feeling in good hands. To register for the Trust Conference and for further programme information, visit www.trustconference.com. For more information about the QEII Centre, visit www.qeiicentre.london.